Nothing special today, I just stopped by Harbor Freight and used a coupon I had gotten in the mail for the Carbon Steel Tap and Die Set. The coupon was for $7.99, instead of $15. Not bad. 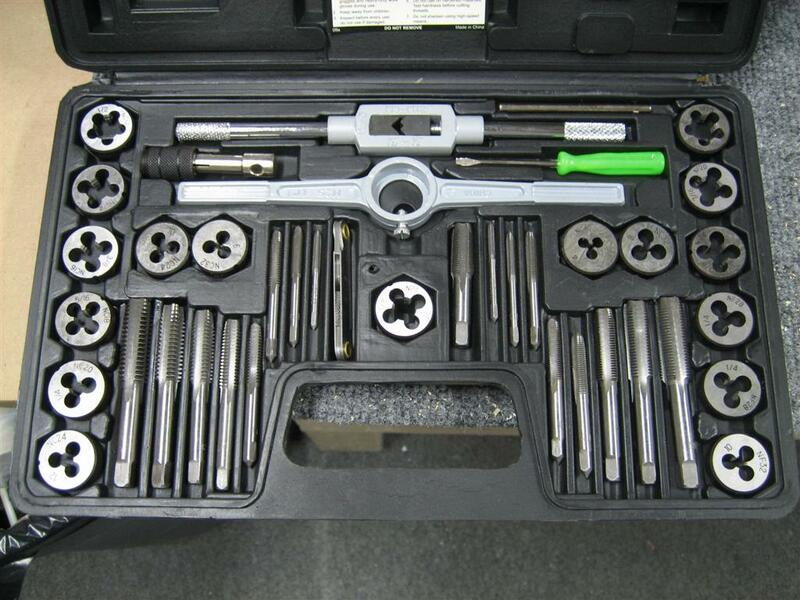 I’ll need a tap and die set to tap the wing tiedowns, and who doesn’t want to save money? (I also picked up a 1 inch diameter roloc kit that included some surface conditioning discs. I’m thinking the maroon is pretty close to maroon scotchbrite, and I want to figure out a good way to deburr wing ribs). It isn't the highest quality set, but it'll do for the tiedown attach brackets. It's pretty thorough. I grabbed the SAE version (they also had metric). 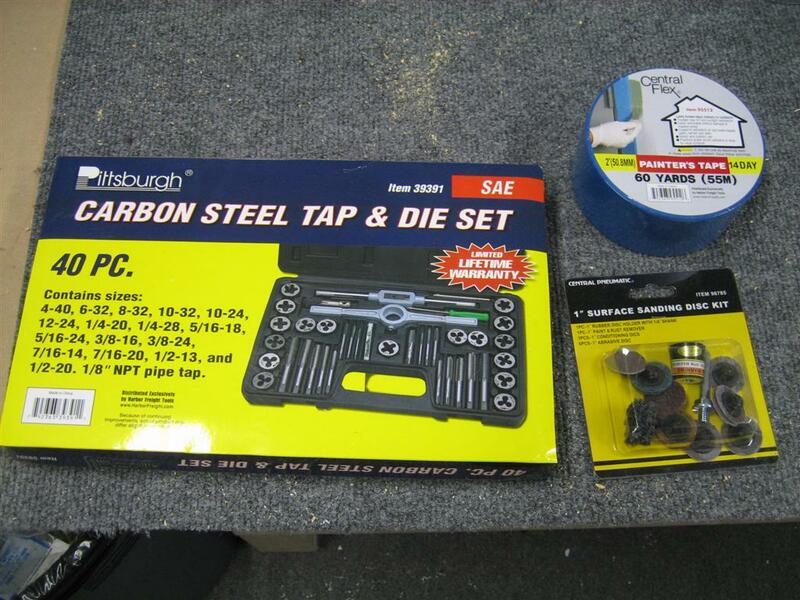 Subtotal for the Roloc kit, tap and die kit, and roll of blue tape was $19.97. Not bad. This entry was posted on Saturday, May 15th, 2010 at 6:46 pm and is filed under Tools. You can follow any responses to this entry through the RSS 2.0 feed. You can leave a response, or trackback from your own site.